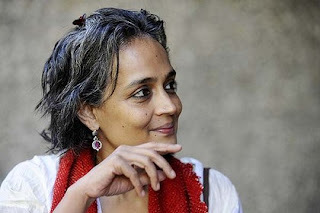 Truth by Kbaig: Pak-India Friendship and 13 Questions of "Arundhati Rai"..! 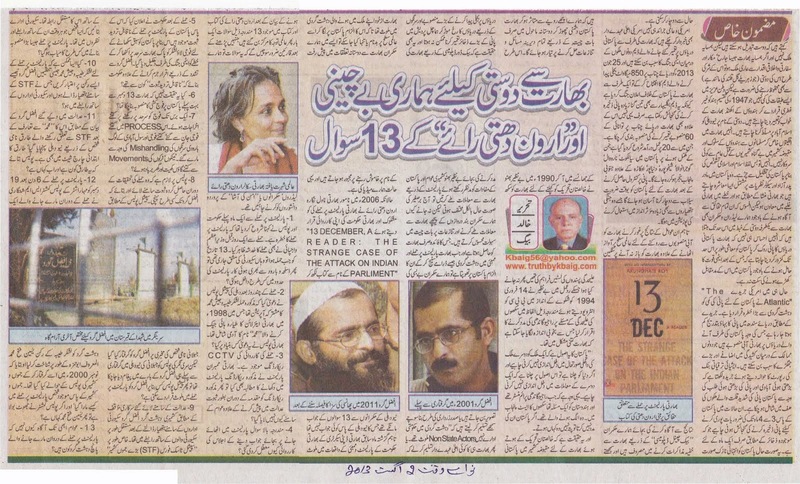 Pak-India Friendship and 13 Questions of "Arundhati Rai"..! It is said that friends can be changed, not the neighbors. What if the neighbor is like India; an aggressor lacking all diplomatic and moral norms? It is important to keep out her vices. There are some segments in our country that call the divide of British India unnatural and want to realize Hindu dream of ‘Greater India’. They want to impose will of New Dehli on Islamabad. They prefer to forget the treatment metted out to minorities in India in general and Muslims in particular as well as massacres of Kashmiris in Indian Held Kashmir. They are not willing to accept the Islamic ideology of Pakistan. They want a secular Pakistan with no connection to the Islamic past of the region that confirms and supports the Indian hegemony in the area. Our leaders in the government are so keen to promote the one sided friendship with India that they overlook Indian construction of dams on Pakistani rivers that will weaken our economy to a level that we will not be able to resist Indian hegemony despite being a nuclear power. Recently, an American periodical ‘The Atlantic’ has declared lack of water in Pakistan a greater danger than the present day terrorism. The water flow is decreasing in River Indus due to Indian construction projects that can cause a major confrontation between two nuclear rivals. The periodical refers to Asian Development Bank and states that Pakistan has joined the list of countries with acute shortage of water due to increasing population and demand of water. In these conditions, Pakistan ought to have three to four years water storage facility. Presently it is only for one year. This situation can become critical. Apart from this periodical, the US government members have also warned that Indian construction of dams can result into a nuclear confrontation. On 25 June 2013, India declared a sort of war on Pakistan by inaugurating a dam on Chenab River that can produce 850 megawatt electricity and store three times more water than Baghliar Dam. India has planned sixty water storage projects on River Chenab. Twenty out of these are under construction. These projects will ruin the agriculture of Narowal, Sialkot, Gujranwala, Shiekhupora, Depalpur and Southern Punjab. By achieving control on flow of water, India will be in a position to target Pakistan with floods that is more effective weapon of war. In the presence of Khalistan Movement, India would not have been able to build dams on Pakistani rivers and construct tunnels to change flow water towards large water storage projects on Himachal Pradesh. If Benazir Bhutto would have chosen to work through the parliament instead back door diplomacy and keeping interest of Kashmiris people and Pakistan supreme, the conditions on sub-continent would have been different. I don’t know why our leaders are comfortable in negotiating with Indians behind closed doors that only benefits India. When India stages terrorist attacks on its parliament or in Bombay and links it with Pakistan, our leaders become either speechless or state, as President Zardari did, that Pakistani state agencies were not involved and it was the work of non-state actors. It adds fuel to the fire. It helps India in demonizing Pakistan. Same is the case with our media. 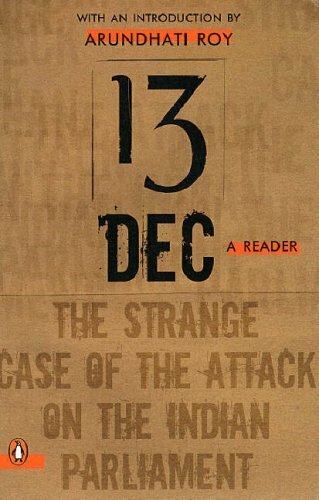 In 2006, the famed Indian novelist and writer, Arundhati Rai, asked thirteen question from Indian leaders in her book ’13 December, A Reader, The Strange Case of Attack on Indian Parliament’. New Dehli had no answers. These questions and her book have come under international discussion after the statement of Indian ex deputy secretary who claimed that Indian state was involved in attacks on its parliament and in Bombay. After going through these questions one must think that these questions should have been raised by our leaders and supporters of ‘Aman Ki Asha’. Question 1: For months before the Attack on Parliament, both the government and the police had been saying that Parliament could be attacked. On 12 December 2001, at an informal meeting the Prime Minister Atal Bihari Vajpayee warned of an imminent attack on Parliament. On 13 December Parliament was attacked. Given that there was an ‘improved security drill’, how did a car bomb packed with explosives enter the parliament complex? Question 2: Within days of the Attack,the Special Cell of Delhi Police said it was a meticulously planned joint operation of Jaish-e-Mohammad and Lashkar-e- Toiba . They said the attack was led by a man called ‘Mohammad’ who was also involved in the hijacking of IC-814 in 1998. (This was later refuted by the CBI.) None of this was ever proved in court. What evidence did the Special Cell have for its claim? Question 3: The entire attack was recorded live on Close Circuit TV (CCTV). Congress Party MP Kapil Sibal demanded in Parliament that the CCTV recording be shown to the members. He was supported by the Deputy Chairman of the Rajya Sabha, Najma Heptullah, who said that there was confusion about the details of the event. The chief whip of the Congress Party, Priyaranjan Dasmunshi, said, ‘I counted six men getting out of the car. But only five were killed. The close circuit TV camera recording clearly showed the six men.’ If Dasmunshi was right, why did the police say that there were only five people in the car? Who was the the sixth person? Where is he now? Why was the CCTV recording not produced by the prosecution as evidence in the trial? Why was it not released for public viewing? Question 5: A few days after 13 December, the government declared that it had ‘incontrovertible evidence’ of Pakistan’s involvement in the attack,and announced a massive mobilization of almost half a million soldiers to the Indo-Pakistan border. The subcontinent was pushed to the brink of nuclear war. Apart from Afzal’s ‘confession’, extracted under torture (and later set aside by the Supreme Court), what was the ‘incontrovertible evidence’? Question 6: Is it true that the military mobilization to the Pakistan border had begun long before the 13 December Attack? Question 7: How much did this military standoff, which lasted for nearly a year, cost?How many soldiers died in the process? How many soldiers and civilians died because of mishandled landmines, and how many peasants lost their homes and land because trucks and tanks were rolling through their villages, and landmines were being planted in their fields? Question 8: In a criminal investigation it is vital for the police to show how the evidence gathered at the scene of theattack led them to the accused. How did the police reach Mohammad Afzal? The Special Cell says S.A.R. Geelani led them to Afzal. 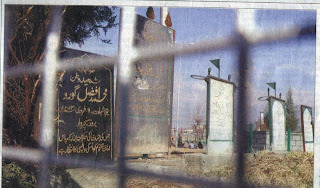 But the message to look out for Afzal was actually flashed to the Srinagar Police before Geelani was arrested. So how did the Special Cell connect Afzal to the 13 December Attack? 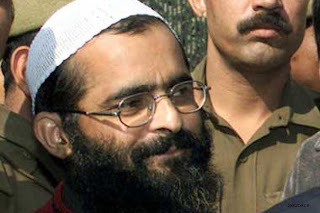 Question 9: The courts acknowledge that Afzal was a surrendered militant who was in regular contact with the security forces, particularly the Special Task Force (STF) of Jammu & Kashmir Police. How do the security forces explain the fact that a person under their surveillance was able to conspire in a major militant operation? Question 10: Is it plausible that organizations like Lashkar-e- Toiba or Jaish-e-Mohammed would rely on a person who had been in and out of STF torture chambers, and was under constant police surveillance, as the principal link for a major operation? Question 11: In his statement before the court, Afzal says that he was introduced to ‘Mohammed’ and instructed to take him to Delhi by a man called Tariq, who was working with the STF. Tariq was named in the police charge sheet. Who is Tariq and where is he now? Question 12: On 19 December 2001, six days after the Parliament Attack, Police Commissioner, Thane (Maharashtra), S.M. Shangari identified one of the attackers killed in the Parliament Attack as Mohammad Yasin Fateh Mohammed (alias Abu Hamza) of the Lashkar-e-Taiba , who had been arrested in Mumbai in November 2000, and immediately handed over to the J&K Police. He gave detailed descriptions to support his statement. If Police Commissioner Shangari was right, how did Mohammad Yasin, a man in the custody of the J&K Police, end up participating in the Parliament Attack? 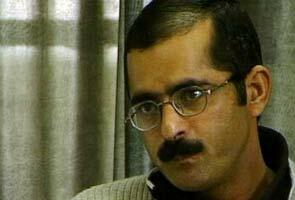 If he was wrong, where is Mohammad Yasin now? Question 13: Why is it that we still don’t know who the five dead ‘terrorists’ killed in the Parliament Attack are?